Teach your English, Spanish, French or Italian overseas. Help someone in Brazil, France or Spain to improve their grammar and oral skills as a tutor or a language assistance. Teach and enjoy the rest of your time exploring the cities and culture. Learn more about the culture, the language, and discover new things about yourself! Teach your English to a Brazilian family or a group of people. Help them to improve their grammar and oral skills in exchange for room and board. Teach ONLY 15 hours weekly and enjoy the rest of your time exploring Brazilian cities and culture. Having the opportunity to tutor is itself a learning experience. 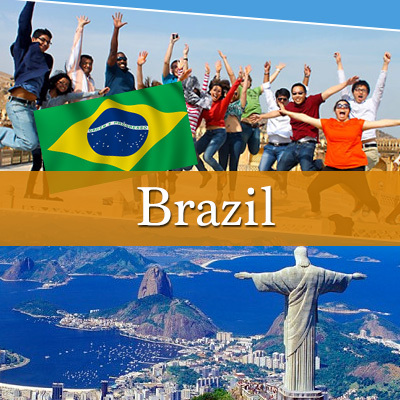 Learn more about Brazil, the language, and discover new things about yourself! Host families are carefully selected. Besides their deep desire to learn a new language, they are also very interested to learn more about a different culture and to share their habits too! The teaching English experience is offered in many different cities and its surroundings. This 20-year old American participant had a "wonderful experience, thank you. I am really enjoying Brazilian culture and people. Although Cataguases is a little quiet for my taste, I am still having fun. I was in Rio for a few days last week when Tatiana had class in Sao Paulo. The teaching has been going okay; ...she has only received about 12~ days of classes since I have been here. I am confident she will learn a lot by the time I leave in July." This program was designed with the objective of placing foreign university students in Brazilian families who wish to improve their language skills. The host families will provide room and board to the students who, in exchange, will give conversational lessons in their native language to all or any family member. Having the opportunity to tutor the members of a family is in itself a learning experience. The sessions may be a time for exchanging information about languages, customs, and cultures. The tutor will spend up to 15 hours per week helping their host family to improve their English skills, who will accommodate the student for a period of 4 , 8 or 12 weeks. Why choose Teach English program in Brazil? Start dates vary according to availability of the host families and tutors preferred start. Choices for the locations and host families are primarily based on availability, student background and preference as stated at the time of booking. We have many years experience of placing overseas students. We feature years of expertise in Intercultural Education and therefore we are better able to match a tutor application to a family than a student or parent. It cannot be guaranteed that a tutor can be placed in a chosen location; however, we will always try to accommodate the preferences of the early applicants when making our selection. Application Form - Click here! Short essay (1-2 pages): the student has to focus on relating who he/she is, and the kind of experience he/she wants to have. Please, make sure your medical insurance covers you during your stay in Brazil; otherwise we can make arrangements for you to receive in this case. Teach your English to a French family or a group de people. Help them to improve their grammar and oral skills in exchange for room and board. Teach ONLY 15 hours weekly and enjoy the rest de your time exploring Spanish cities and culture. Having the opportunity to tutor is itself a learning experience. 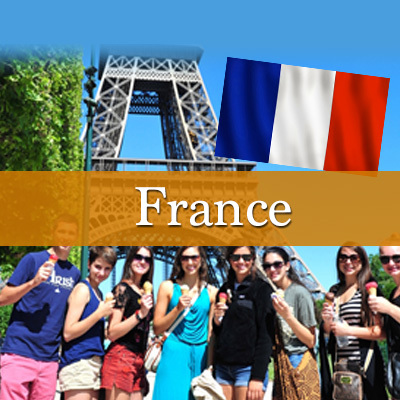 Learn more about France, the language, and discover new things about yourself! This program was designed with the objective de placing foreign university students in French families who wish to improve their language skills. The host families will provide room and board to the students who, in exchange, will give conversational lessons in their native language to all or any family member. Having the opportunity to tutor the members de a family is in itself a learning experience. The sessions may be a time for exchanging information about languages, customs, and cultures. The tutor will spend up to 15 hours per week helping their host family to improve their English skills, who will accommodate the student for a period de 4 , 8 or 12 weeks. Please, make sure your medical insurance covers you during your stay in France; otherwise we can make arrangements for you to receive in this case. This program is addressed to Australian, US and Canadians who are either current university students or have completed a bachelor's degree. The program is part of an initiative of the Ministry of Education of Spain to provide native speakers of English or French with the opportunity to assist teachers in the English or French programs in elementary, secondary or language schools in Spain for 12-16 hours per week. Students will spend a full academic year in Spain, typically from the beginning of October through May, or in some case January to June for Australian applicants. Preferred placement in different Spanish regions can be requested with early applicants. Applicants will have to mark three preferred destinations. These cannot be guaranteed, but accommodation will be made for early applicants to try and meet this request. As a language assistant you will work between 12 and 16 class periods per week under the supervision and guidance of a classroom teacher at an elementary, secondary or language school. - The whole application for the placement will be process through an online system. We ask that participants have an open-minded and flexible attitude since they will be working as language assistants in the classroom, regardless of their previous educational experience. You should also have basic communicative skills in Spanish. The language assistants will receive a monthly stipend of 700 €, exempt from taxation, and full medical insurance. Upon arrival in Spain, they will be offered an orientation course. Travel costs to and from the country of origin will be your responsibility. Participants in the program will receive a monthly stipend and medical coverage. • Copy of your valid passport. • College transcript, or copy of your degree certificate(s) or diploma(s). Teach your English to a Spanish family or a group of people. Help them to improve their grammar and oral skills in exchange for room and board. Teach ONLY 15 hours weekly and enjoy the rest of your time exploring Spanish cities and culture. Having the opportunity to tutor is itself a learning experience. 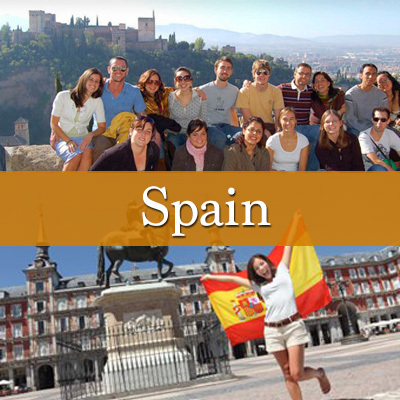 Learn more about Spain, the language, and discover new things about yourself! This program was designed with the objective of placing foreign university students in Spanish families who wish to improve their language skills. Why choose Teach English program in Spain? Please, make sure your medical insurance covers you during your stay in Spain; otherwise we can make arrangements for you to receive in this case.